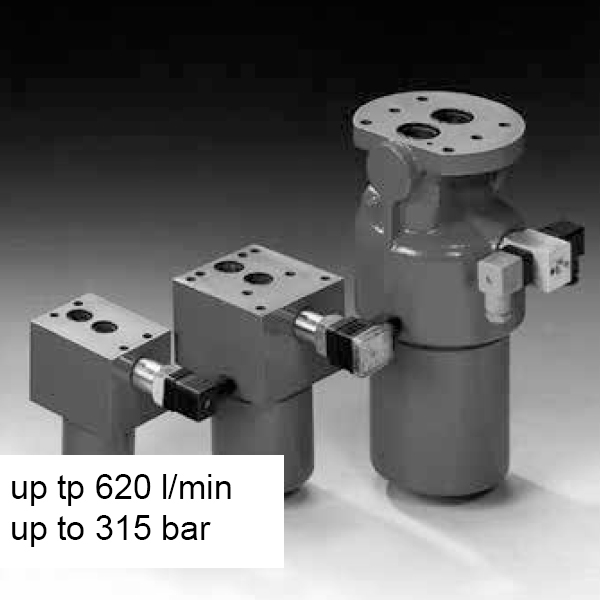 The HYDAC DFP filter series is a pressure filter for manifold back mounting. It has a flow capacity up to 620 l/min and a pressure capacity up to 315 bar. What’s more, DFPF filters are suitable for flow in both directions.